Semi Detached Cottage For Sale in Gwynedd for £245,000. 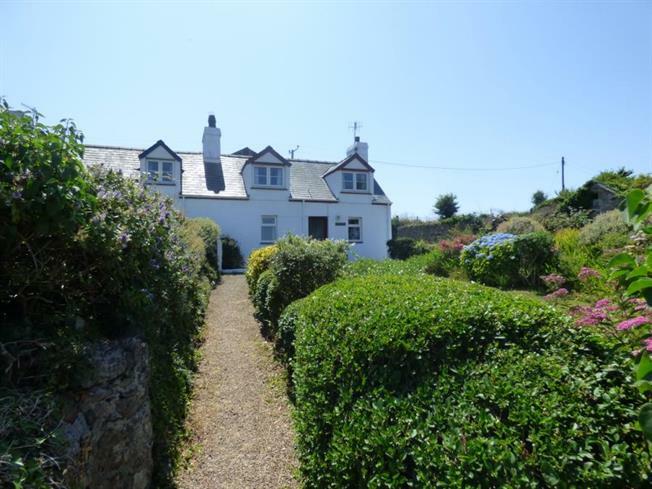 A Charming semi detached 2 bedroom Cottage in a most delightful and idyllic rural setting close to the picturesque beach of Porth Ceiriad, some 2.5 miles from the highly acclaimed seaside village of Abersoch. Superb far reaching countryside views and a pretty front lawned garden with corrugated workshop and small stone building. The property has been in the same family ownership for many years with comfortable well maintained accommodation providing a front lounge with open fireplace, kitchen and rear bathroom, 2 bedrooms to the first floor. Extension potential subject to planning consent.